Mike Krukow joined Murph & Mac Wednesday morning to discuss the remainder of spring training and how the Giants offense might look in 2019. The key will be health, but if healthy, could the Giants surprise some people in the home run department? Longoria led the Giants with a lackluster sixteen home runs last season. Plagued by injuries, neither Brandon Belt nor Buster Posey were able to put up big numbers in the power department. 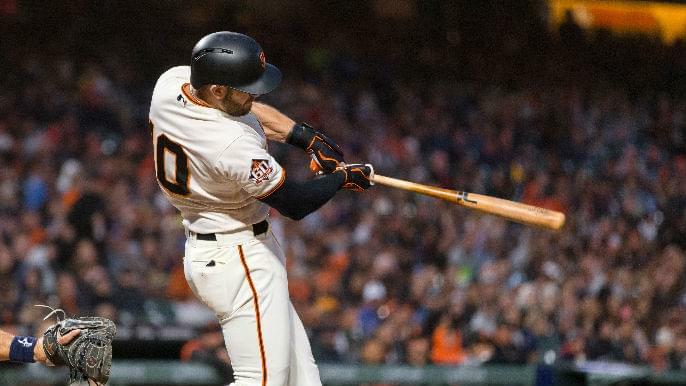 Mac Williamson revamped his swing and showed a lot of promise last summer before his season was cut short due to a concussion. Aside from Chris Shaw, Williamson is one of the Giants’ very few major league ready power threats. Given enough at-bats this season, there’s a chance Williamson could surpass everybody on the team in home runs. Last season the Giants ranked 29th in baseball in home runs with 133. The team has struggled in the power department for as long as anyone can remember. After missing out on Bryce Harper, the Giants need the players they currently have to step up and produce big time if they hope to compete in 2019.